Near the Andes and the centroid of this area with one of the purest air in the country, is the Splendor Mendoza hotel, in one of the latitudes where to look at the depth of the night it reveals amid amazing sharpness the tinkling brightness of stars ... the weather here is a blessing, immense skies and clear, sunny celestial, make the season a pleasant attraction for most of the year. 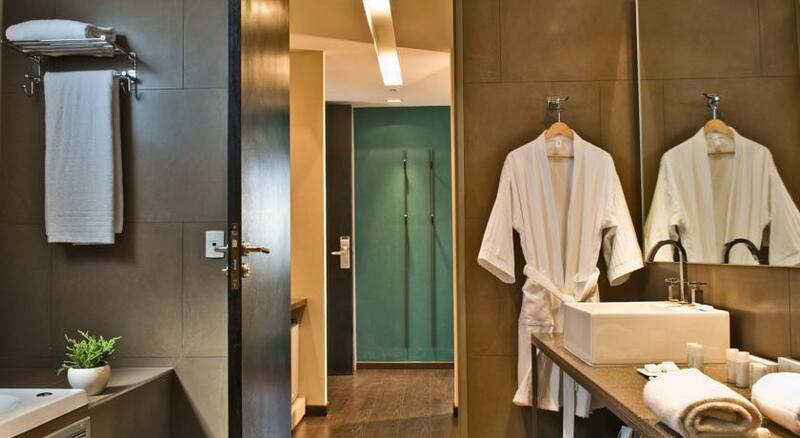 We think of a color palette that reveals the splendor hotel interior landscape cordilleranas farms, portrait olive groves and vineyards that give that particular landscape scale to Mendoza. Work surfaces in shades of Malbec grape, lime green and golden mustards Chardonay. Chocolatados leathers in different equipment, the antique montana nubuck, the very elegant dark raffia and textures steel and nickel that make up the interior landscape invite Lobby splendor experience as a new contemporary classic. Exclusive textiles designed by the architectural PLAN in partnership with the designer Martin Churba, full of brightness, color and sophisticated materials, dialogue with the glamorous spirit of play that vibrates in the air of this entertainment center. 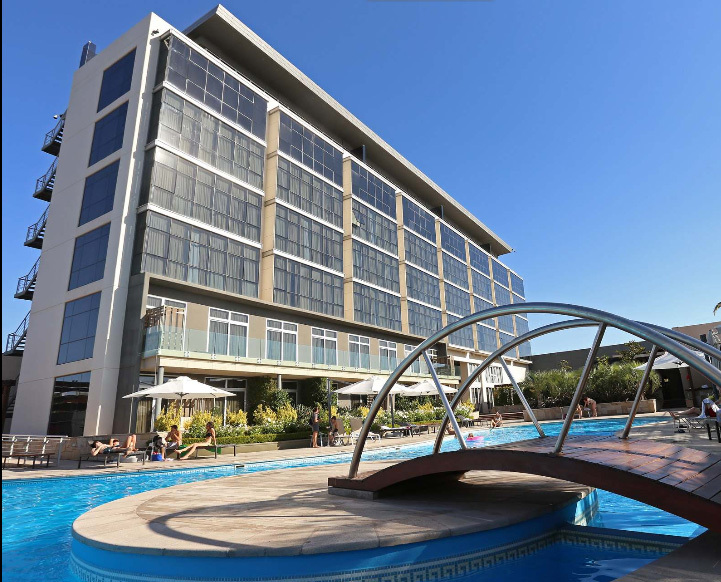 Splendor Hotel Mendoza is part of the impressive Arena Maipú Complex, located at kilometer 0 of the wine roads and only 15 minutes from the city of Mendoza. style casino Las Vegas, offering shows and entertainment in general: Within the complex a wide range of activities and services to relax and have fun unfolds. Restaurants, bars, convention center, movie theaters and a stadium with a capacity of 5,000 thousand people. 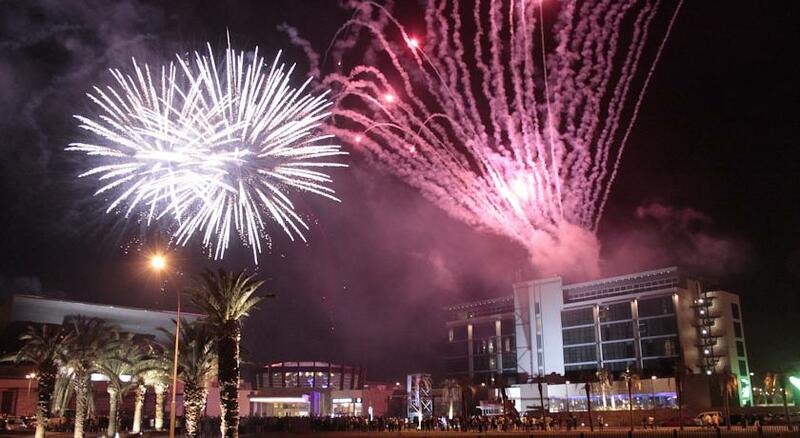 With 42,000 m2 and parking for 660 vehicles, Arena Maipú is an entertainment center able to satisfy both the demands of different audiences. 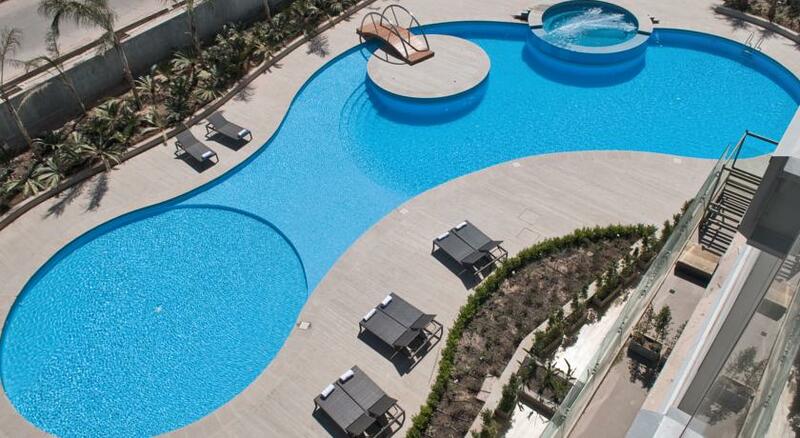 The Splendor Hotel Mendoza, a Caribbean-style pool, a fitness center and spa, offers modern rooms 300 meters from Metropolitan Park. 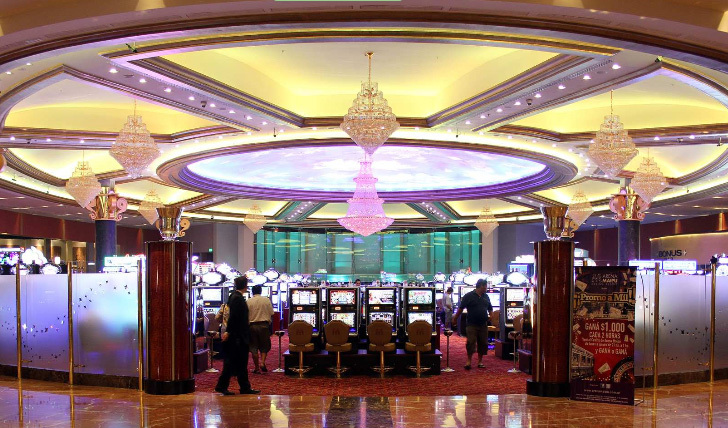 It features a casino, restaurant, bar and stage. private parking and free WiFi connection is available. An American breakfast is served every morning. The restaurant serves international cuisine and the bar serving drinks. 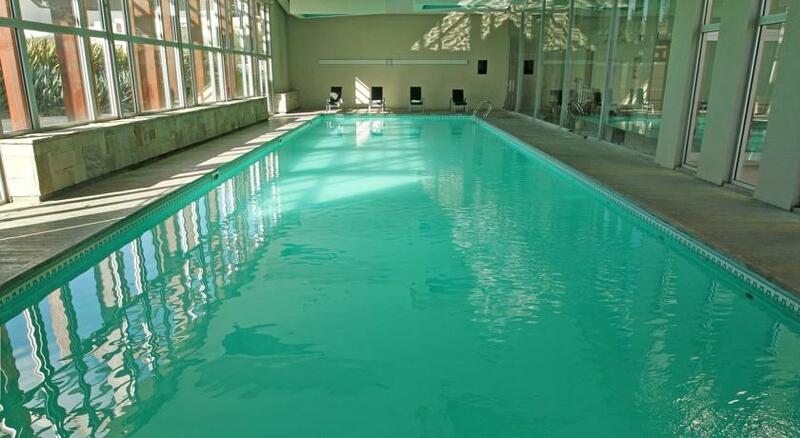 Guests can make use of the spa facilities, including a heated indoor pool. There is a modern lounge where you can read a book. There are laundry and ironing services. The kids club has professional staff and has play station console, ping pong and foosball. Open from 10:00 to 23:00. The 24-hour reception can provide information about the area and shuttle services to El Plumerillo Airport, located 22 km. 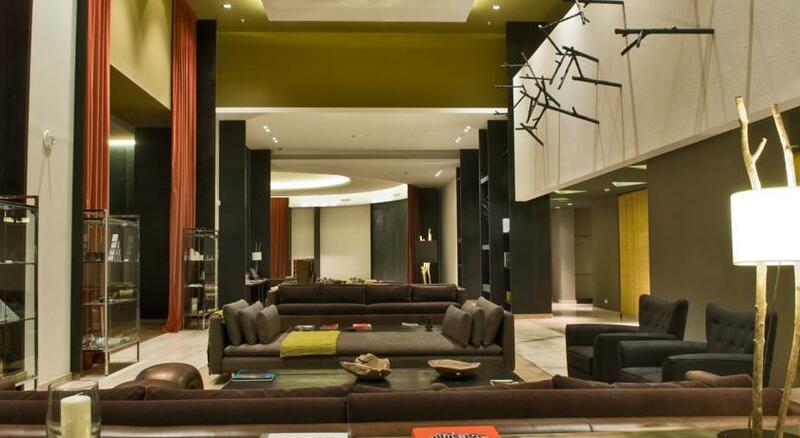 The Splendor Mendoza is a 10-minute drive from downtown. 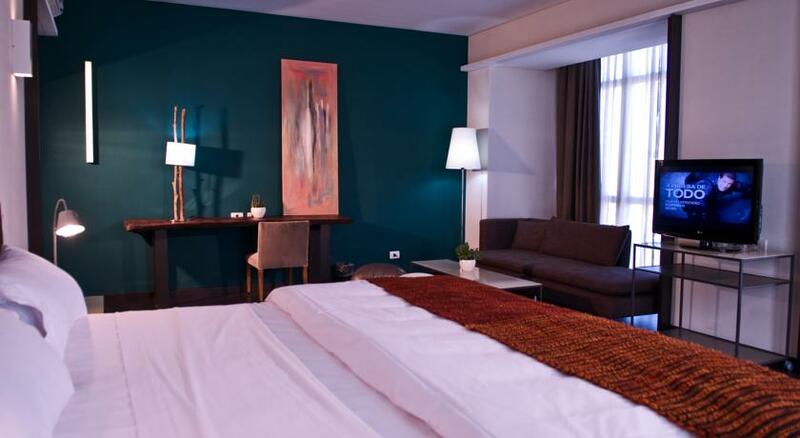 Rooms at Esplendor Mendoza décor design that combines beauty and functionality. 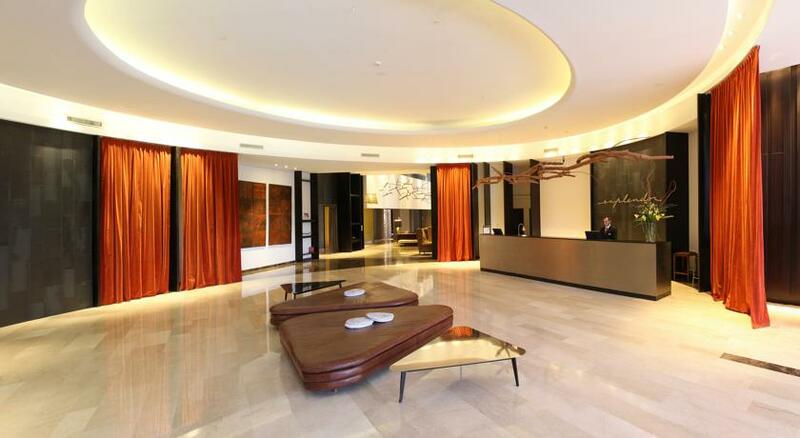 All have plasma TV and minibar. Some have a couch can accommodate an extra guest. The bright and spacious rooms of 28 m2 Concept feature elegant and modern decoration of characteristic elements of the region. 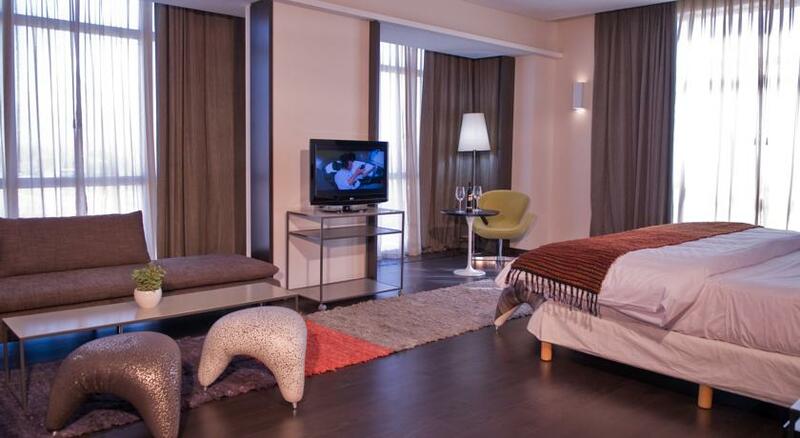 All are equipped with Queen or Twin size beds, 32 "LCD TV and minibar to guarantee absolute comfort of the guest. 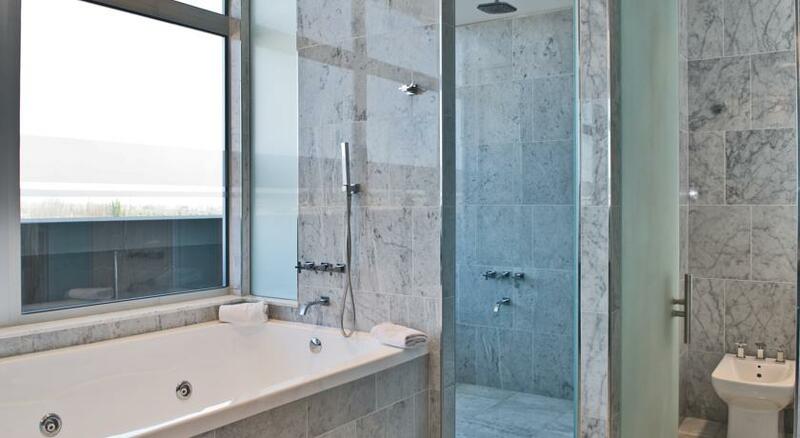 The spacious bathrooms have a bathtub and hairdryer. 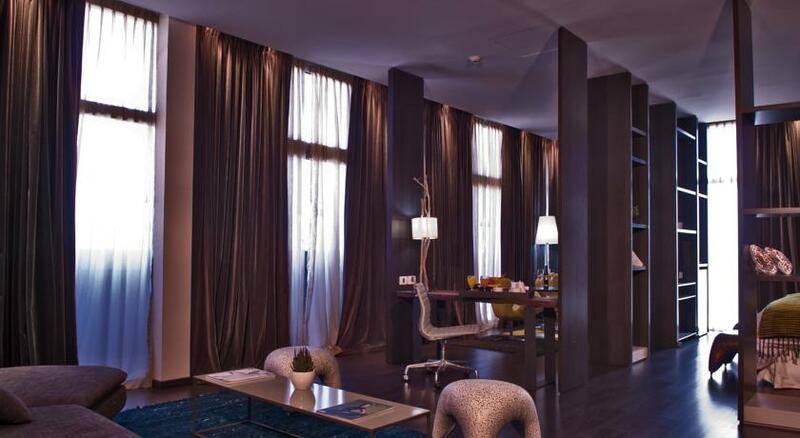 The Suites have the same amenities of the rooms Concept's 60 m2 and panoramic views of the Andes view. We also have additional space, jacuzzi and chaise longue. Vip Suite category is the most exclusive hotel proposal, has 102 m2, a living room, a spacious dressing room and a private terrace. 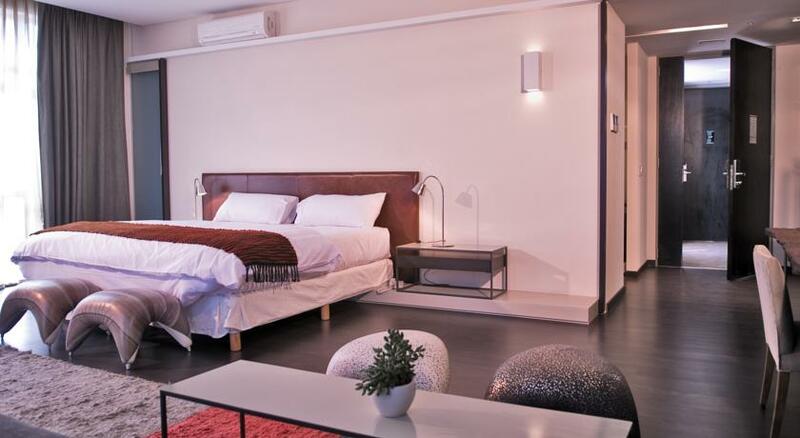 It offers King size bed, LCD 42 ", a double whirlpool for total relaxation and fantastic panoramic view of the Andes. 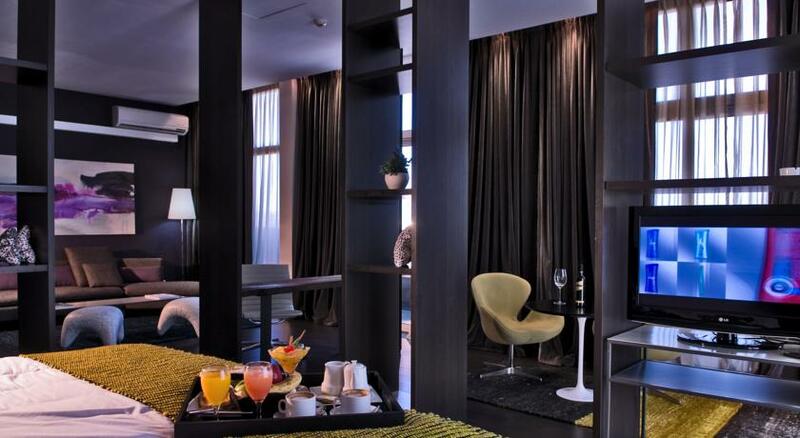 •	Room service from 10:00 a.m. to 12:00 p.m.
•	Front Desk 24 hours. A space to experience wellness and harmony in body, mind and soul. It offers a variety of massages and treatments. Among our featured is the Vinoterapia, where the red wine and its extract has powerful antioxidant and increase vitality takes advantage. With more than 1400 m2 of game, it is one of the most desacados spaces within the proposed entertainment offered Arena Maipú. This is a luxurious modern room with 480 slots, 40 stations and 11 electronic roulette tables with the most popular games of cloth 5 roulettes and 6 card tables (Black Jack, Poker and Punto Banco). 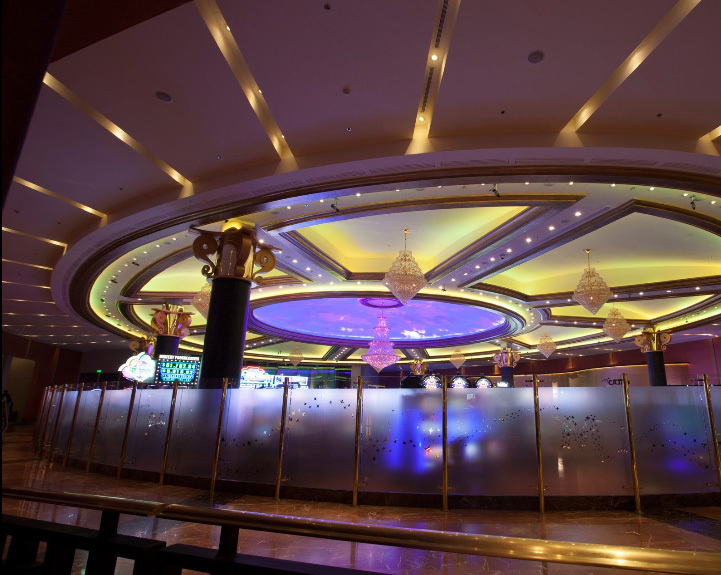 In the Casino bar you can also enjoy an excellent variety of drinks and beverages. 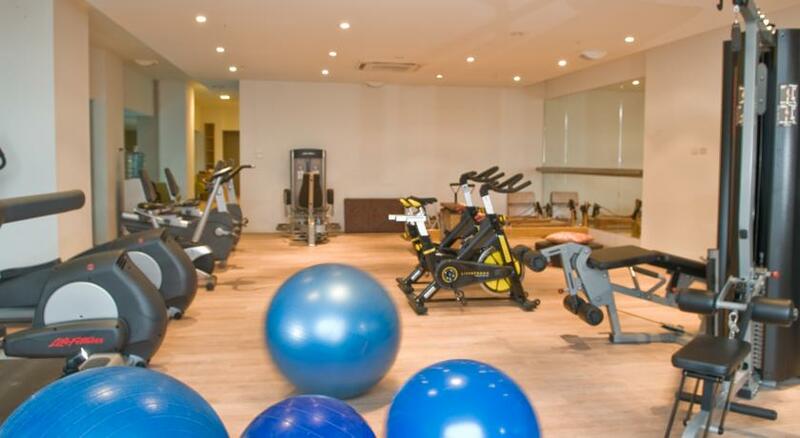 The entire gym has latest equipment so you can continue your routine every day. We have tapes, elliptical, stationary bikes, spinning bikes, dumbbells and two stretchers for pilates.